More than forty years ago, math educator Larry Martinek was inspired to find a better way to teach children math. As a classroom teacher, teacher-trainer, and consultant in public and top private schools—and father to a mathematically gifted son—Larry possessed a uniquely comprehensive view of education. He saw a troubling theme in mathematics instruction: a serious disconnect between the students’ basic skills training and the curriculum they were expected to master in the years to come. They weren’t being prepared properly for their future. Larry set out on a mission: to find an approach that would provide children with the strong foundation they needed to succeed. Over the next three decades, he painstakingly developed and assembled a blend of methods and materials. Instead of relying on traditional rote memorization and repetitive exercises, Larry’s work focused on helping children understand math by honing their math instincts and getting them to think like mathematicians. And it worked. As Larry’s innovations gained wide circulation over the years, Los Angeles schools began teaching from his materials instead of their textbooks. The result: Test scores skyrocketed. His work evolved into a complete curriculum from pre-kindergarten to 12th grade math. 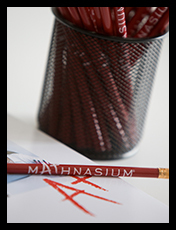 Then, in the spring of 2002, education industry leaders Peter Markovitz and David Ullendorff made Larry and his curriculum the driving force of Mathnasium. Larry introduced his teaching methodologies as the Mathnasium Method™ at their first math learning centre in Westwood, California. Students of all ages found the curriculum to be incredibly powerful and engaging. 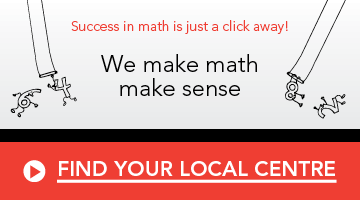 As evidence of how effective it is, Mathnasium centres have sprung up across Canada, the U.S., Europe, South America, Central America, Asia and the Middle East. Today, more than 40 years after Larry first developed it, the Mathnasium Method™ is providing children all over the world increased confidence, critical thinking skills, and mathematical ability to last a lifetime.